SKU: LEMBOS. Category: Gaming Accessories. 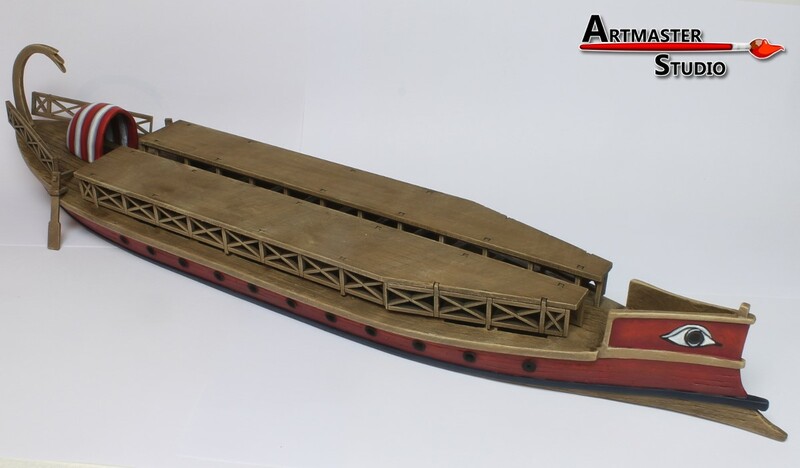 The Lembos was the quintessential sea going vessel of the ancient world. 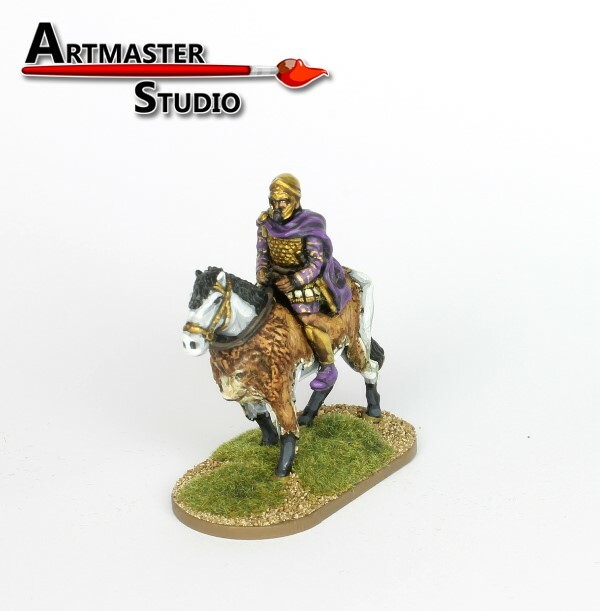 Used to carry cargo, and as transports for troops and cavalry, they were used by all Mediterranean nations throughout antiquity. 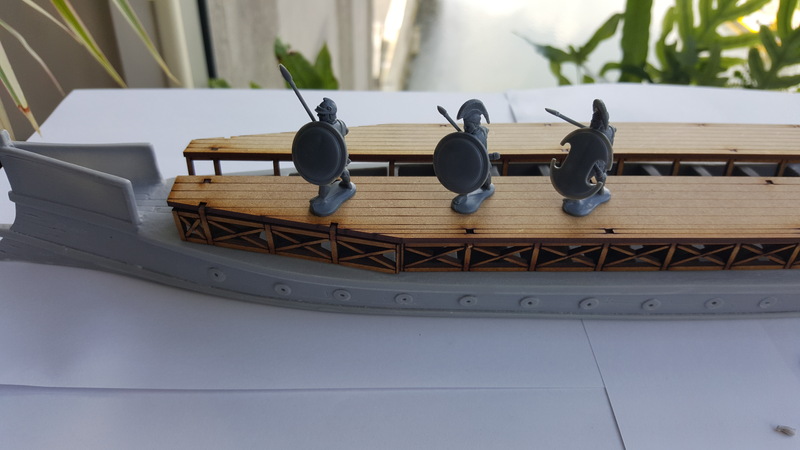 Most famously they were used to excellent effect by the Illyrians, who took advantage of the Lembos’ small size, speed and manoeuvrability to prey on shipping, becoming some of the most feared and hated pirates in the region. 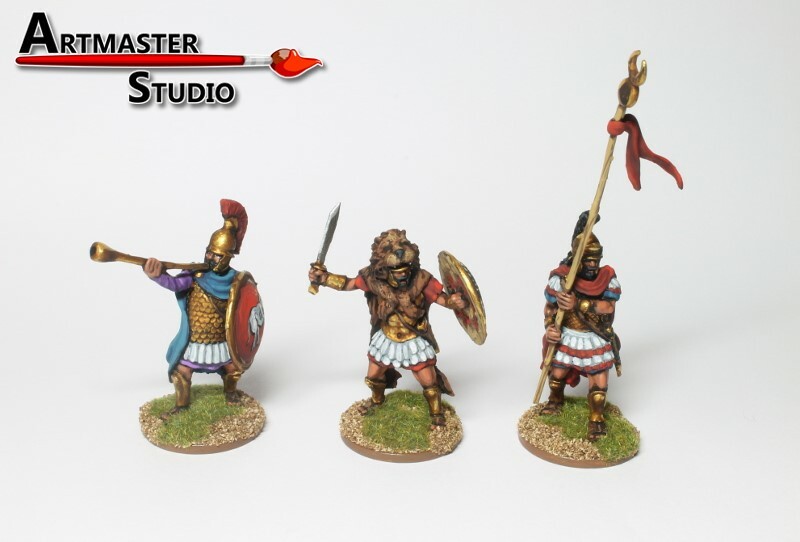 Not long after Rome subdued Illyria, the Cilicians took over the mantle of most piratical and hated of the hunters of the Sea. Indeed, it took the Great Pompey in a lightning campaign to rid the waves of the pirates and their Lemboi. 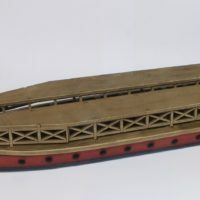 The Lembos typically had an open deck, such that the rowers (who were rarely if ever slaves due to the skill and training needed to be effective) could get air and keep cool, with the fighting men and sailing crew working up-top. They were occasionally fitted with rams, but their role was typically not to engage in such close quarter ship to ship fighting, their primary use being to get troops into and out of an area with booty quickly, or allow boarding to take place such that the pirates could plunder and escape. 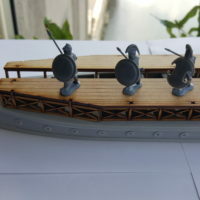 The Romans, Greeks and others would employ the Lembos to carry their troops to foreign campaigns, and to make sure their troops were sufficiently re-supplied. The Lembos was the work horse of the ancient sea-faring world. 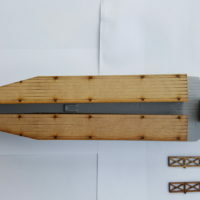 This model is composed of a resin hull, pilot’s tent and stern ornament, with laser cut mdf decking, railings and rudders. 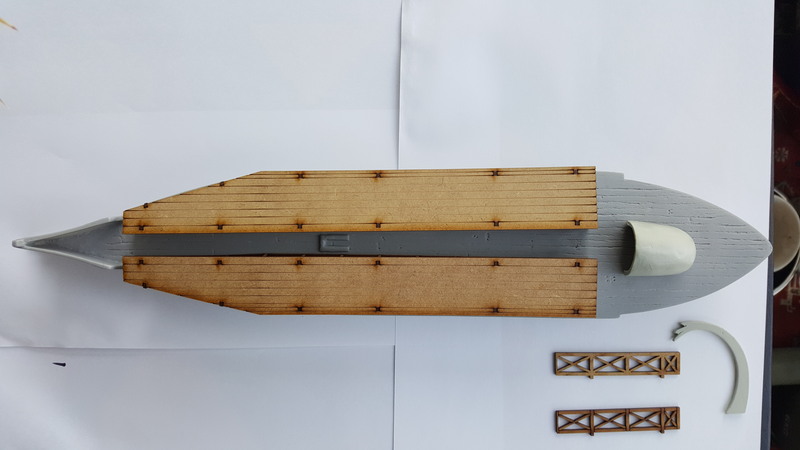 Please note, due to it’s size and composition, this model requires some skill to construct – you will need to be able to measure effectively and drill holes in the resin hull to insert the fixing points for the railings and rudders, for instance. 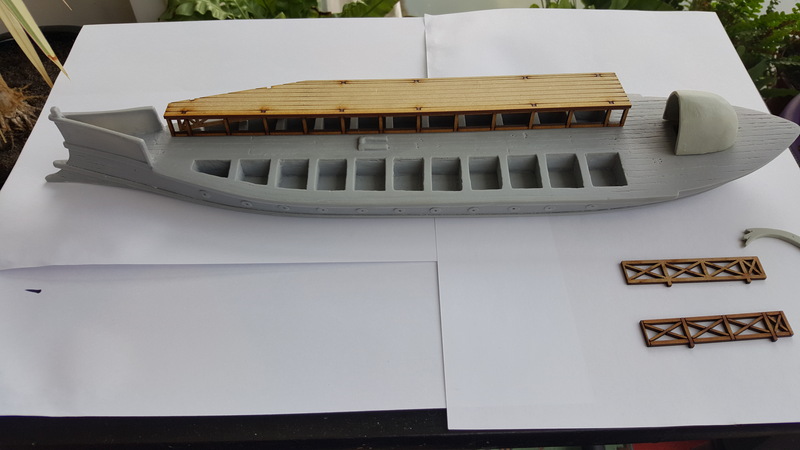 This model is cast and cut to order, so please allow sufficient time for us to cast and dispatch to you. 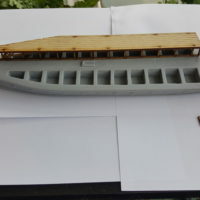 The model is supplied unassembled and unpainted.